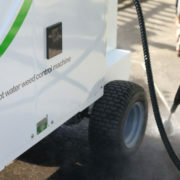 Etesia will be bringing their range of Environmentally-friendly Pellenc battery-powered tools and Oeliatec hot water weed removal system to APSE Scotland Fleet, Waste and Grounds seminar 2017. Pellenc has based its success on a policy of continuous innovation and the integration of environmental requirements that make it a leading player in the equipment and tools industry for the maintenance of green spaces and urban cleanliness. By using Pellenc tools it possible to eliminate direct emission of greenhouse gases and significantly reduce noise. It thus meets the users’ requirements for comfort and sustainability while offering excellent cost efficiency. Tools within the range include pedestrian mowers, chainsaws, hedgecutters, brushcutters and grass strimmers, leaf blower and pruners ensuring there is a tool for any green space requirement. New to the UK for 2017 is the Oeliatec range of hot water weed removal system. 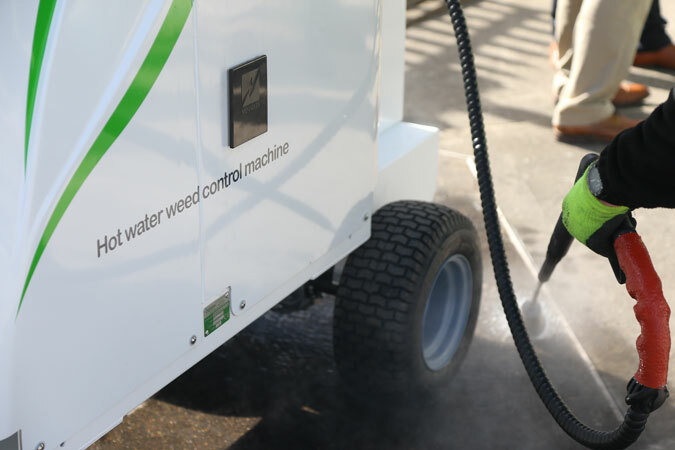 Hot water weed control requires fewer treatments, no additives to kill weeds and cost’s significantly less in comparison to other alternatives. 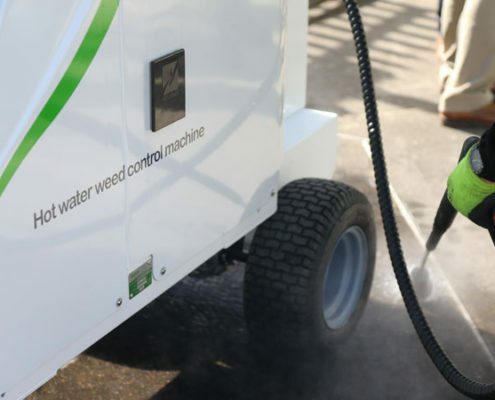 All Oeliatec weed control machines kill weeds with 100% hot water by delivering an efficient low pressure treatment at temperatures of up to 120C. This destroys the cellular structure of the weed to kill off the plant, which is worn down further by each treatment to eventually kill the root, along with moss and algae which can also be removed at the same time.